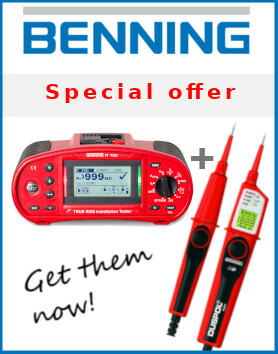 Whether voltage testers, multimeters, current clamps, device testers or installation testers: with BENNING products you are well equipped for industrial applications. Here are some product recommendations especially for the industry. For customers from northern North Rhine-Westphalia and Lower Saxony our field service is available for demonstrations. Just contact us.